Along with regular practice of yoga, a proper diet too plays a crucial role in the life of a Yogi. Being a yogi, this vibrant, crunchy and earthy flavored vegetable is one of the most potent food items that you can add to your daily diet. Beetroot is originally from Europe and Romans were the first ones to cultivate it. During the 19th century, beetroot was used to extract sucrose as it has the highest sugar content as compared to any other vegetable. It is loaded with nutrients- Beetroots are loaded with vitamins and minerals. Magnesium, potassium, fiber, iron, phosphorus, vitamins A, B &C, beta-cyanine, beta-carotene and folic acid. It is also very beneficial for pregnant women mainly because of the high content of folic acid. The folic acid is associated with normal tissue growth and the fiber helps with smooth digestion. The protein content in beetroot is also very high as compared to other tubers and root vegetables. Increased energy- The betalain pigment present in the beetroot, when enters the body, helps in restoring energy on a cellular level. Inflammation is reduced- Beetroots are rich in betaine which is a nutrient that helps in protecting cells, enzymes and proteins from environmental stress and reduce inflammation. Studies have revealed that beetroot in the juice form especially, helps in curing inflammation. It was also established that beetroot extract help treat inflammation in the kidneys. Pride, Prejudice and Zombies by Seth Grahame-Smith, Jane Austen, Philip Smiley. I purchased as a present for a girlfriend who became an ex before I gave it her. Read over a weekend, funny premise but some laugh out loud moments. I guess not the flavour of the month for die hard Austen fans but I liked it. Apparently the film will be out in the UK this month..Interesting…See trailer at the end of the post. EYRIE, by Tim Winton is on my ‘next to read list’ about 4 down. I was bought this by a friend who felt its dark humour would resonate with me. The reviews on Goodread have me intrigued 2* -5* and a lot of debate. What comedy do you read, is is light hearted or dark humour? Send me some of your recommendations. Facebook has some very interesting sites I know but have you visited their Fun Christmas page? Full of seasonal and holiday cheer – it also shows the variety of things people think is funny. something I am planning to look into in a future post – maybe you can help with the research. What makes you laugh but not your mates or partner? Tell me in the comment below please. 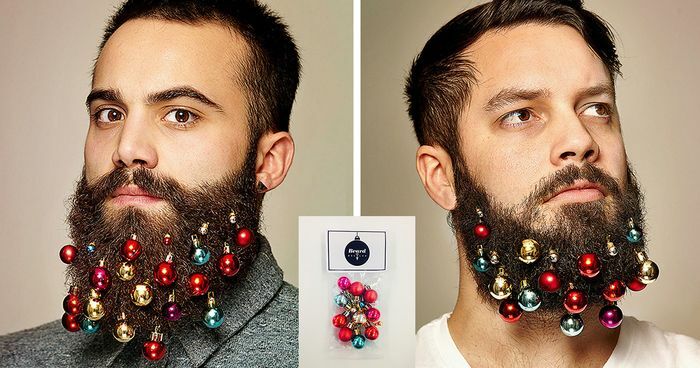 Pinterest also has a Funny Christmas site with links to many more. I love this, wonder if my brother would like some for Christmas… LOL at the thought! Have Happy Merry Christmas EveryOne – I am heading off to the Beach for a BBQ with friends – how will you spend your Christmas Day? Mark Oshiro’s blog is certainly one of the funniest spots on the internet. He found his internet fame by reviewing books, chapter by chapter. This might sound like a dull and tedious thing, but Mark’s humour and his ability to come up with the whackiest way of reviewing books keeps the medium fresh, even after so many years. Instead of just reading a book, and pointing out the “salient features”, he takes a more in-depth approach, analysing each piece of information, and making about a million memes and jokes along the way. “You are not prepared”, his website reads. And that is true! His reviews of the Twilight Saga was what brought him to the Internet’s attention- he became more popular when he continued on with the Harry Potter series. Since then, he has covered a number of other popular series and standalone works. The best thing? He even started a Mark Watches series! If you’re a fan of writing and reviewing that is funny, intelligent, sarcastic, and socially responsible, you don’t need to look any further than Marks Reads. Mark has also managed to influence a lot of people into doing book reviews in this manner- which is rather refreshing. It gives you an in-depth understanding of the book (and provides you with so much more room for jokes!). 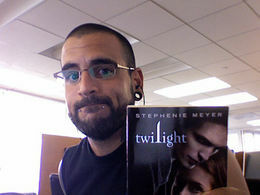 We certainly need more book blogs like these, because let’s face it- nobody has time to read all of Twilight, but they certainly want to make fun of it! There is nothing like a bit of escapism and going into some of what I consider to be the best humorous websites. I’ll give you two of my favourites and you can take a look and see if they also bring a smile to your face. What I love about Funny Or Die, one of these funny websites of mine, is that this website is actually an Emmy-winning comedy video website. It has some material from some famous contributors and some of the clips on the site feature well-known actors like Jim Carey, Charlie Sheen, James van der Beek and Selena Gomez among others. What I like about the site is that videos are voted on by users of the site. So if anything is regarded as not funny it is relegated to the sites crypt. Cheezburger is another site to entertain and you’ll find jokes, memes and funny pics – great for getting rid of bad work-day memories. I always say that your website has to attract the right audience. I love a bit of humour, and I’ve found these sites, and they give me what I want in terms of humour. Got some funny ideas for me, I’ve given you two of mine. Any post about funny stuff can never be complete without Charlie Chaplin.Born in London on April 16,1889 he started his struggle from a tender age of 10. He was a natural actor and had a career spanning more than 75 years. An icon in his days, many comedians followed his style of making people laugh. His childhood was ridden with hardship. Living with only his mother he had to work from the time he was little less than 9 years old . His mother was also not able to remain him for long. She was sent to the mental asylum when he was only 14 years. He immediately started stage activity. In those days acting was not a profession of repute. But young Charlie had the talent. He went to America at 19 years of age and rest is history. Charlie was a genius. He started directing his own films from early career days, and was quite successful at the art. Acting was his forte and no film personality matched his skills. We know him with the famous mustache, but in real life he was quite handsome. He defied all odds and made successful silent film, even with the coming of talking films in 1930. He was also involved in many affairs with famous ladies. In “Gold Rush” he talks about interest rate in a funny way. In 1940 he made one of the iconic films of world ” The Great Dictator”. He played hitler and the film went on to become one of the highest grosser of all time. Hitler became a laughing-stock after this movie and gave courage to the allied forces also. Chaplin was hailed for his work. Are you a fan of Internet memes? I know I am. Although I’ve seen hundreds of those Gene Wilder condescending Willy Wonka memes, I can’t help but to read each new one I see. It’s the same way every time I see a cat gif. I can’t help but to look at it. Or how about those “You only had one job” memes? They’re also hilarious. Well, I’ve found a spot that has all of these memes packed into one, and it’s called facepalm.com. This website offers you the best memes on the Internet, the funniest graphics, and some really great image macros that allow you to enter your own captions.